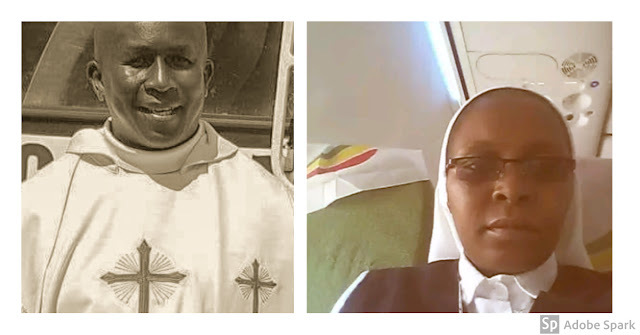 It has been released that among the 157 people were killed in an Ethiopian Airlines plane crash on Sunday, 10 March, 2019 there was a priest, a religious sister, and four staff members with Catholic Relief Services. Fr George Kageche Mukua CMM, belonged to the Congregation of Mariannhill Missionaries, he was from Kenya. He was working as a minister in Rome. The Boeing 737 Max 8, operated by Ethiopian Airline and en route to Nairobi, Kenya, crashed six minutes after take-off in Addis Ababa. Reportedly all 149 passengers and eight crew members died in the crash. There were several member of the UN onboard. The flight crash has been defined by the UN "the most serious commercial plane crash that has involved the UN staff in recent decades". Fr Mukua was born on January 1, 1979. He made his first profession in the congregation on February 2, and was ordained to the priesthood on November 30, 2017. Sr. Florence Wangari, a Notre Dame de Angers Sister was in her early 30s, was also on board. She was on her way to Nairobi. Sister Wangari, was a missionary in the Democratic Republic of Congo (DRC). The nun was originally from the diocese of Nakuru and was returning to Kenya to renew her passport.